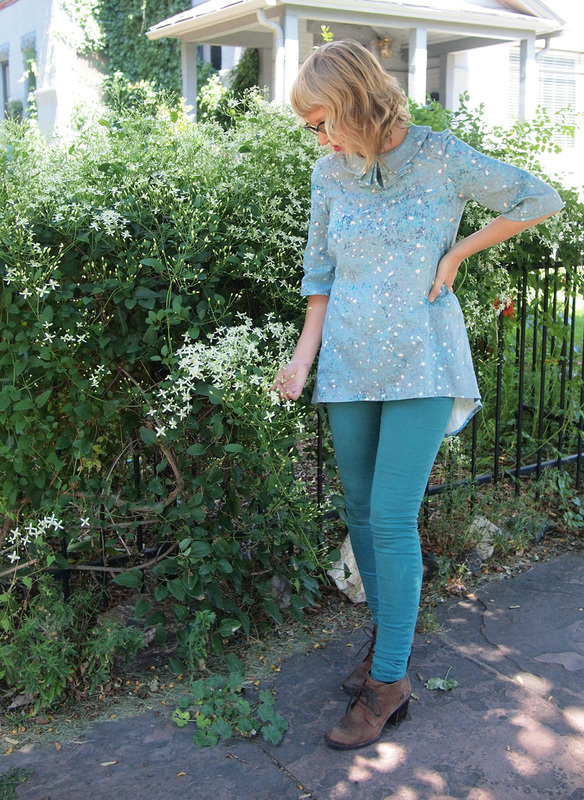 I've been dreaming of making the Roxanne by Victory sewing patterns, and when the new Nani Iro arrived it was on! 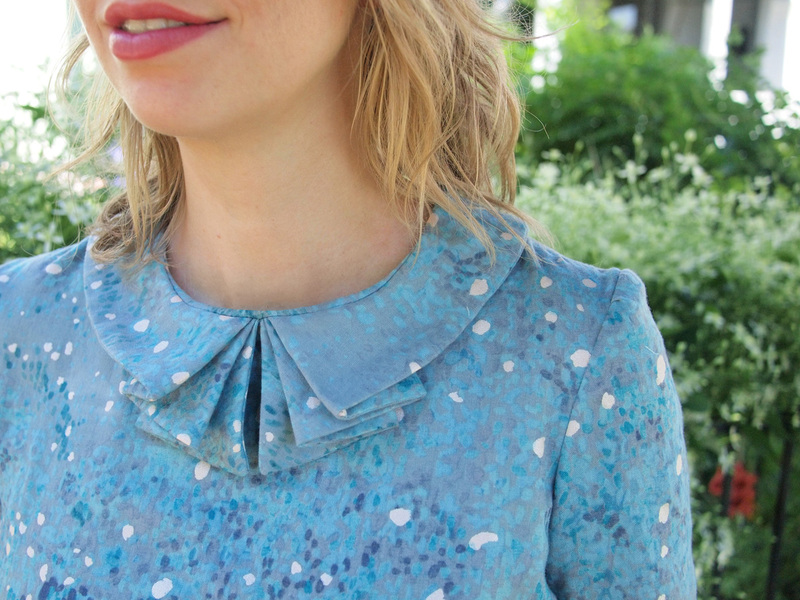 The Roxanne comes with two versions, a collared sleeveless top and a flowy sleeved version with a skinny neck tie. For me the triple pleated collar was irresistible, but since I wanted sleeves for fall I decided to combine the two versions. 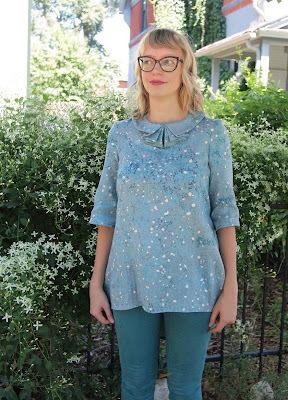 The instructions for this pattern were so well-written by Kristiann of Victory Sewing Patterns. I love that she walks you through the basic measurements for your garment and explains how to alter your pieces if needed. I finished my Roxanne by adding a tie at the back waist. This gives a little more shape to the voluminous pleated shirttail. I love it! 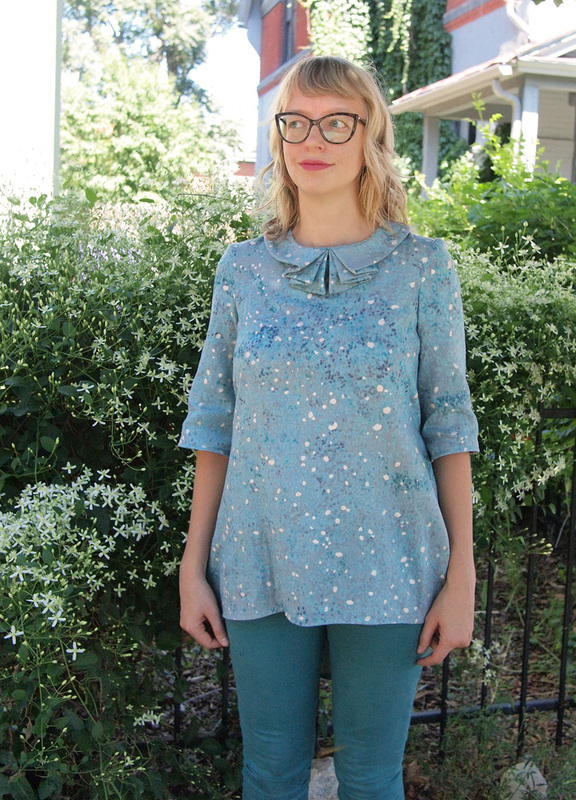 The double gauze Nani Iro fabric is soft and cozy and my new top is so comfortable and easy to wear! I can't wait to take on more of Kristiann's patterns! I love this top! The print is spectacular of course and that back draping makes it very special and don't even get me started on that color. Top notch! I was interested to see what other people are doing with this fabric as I have just obtained a length of it, in blue. Gorgeous fabric. You have made an excellent design choice to show off the fabric, and stitched it beautifully. I too love, love the collar. Well done. 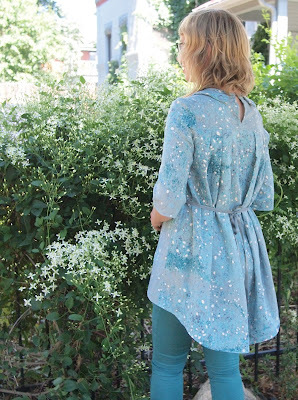 Swoon...new Nani Iro fabrics are here! Amber and Jaime Make Chambray Hawthorns! Lucky Cat Crafts: Rare & Unusual Fibers are here!